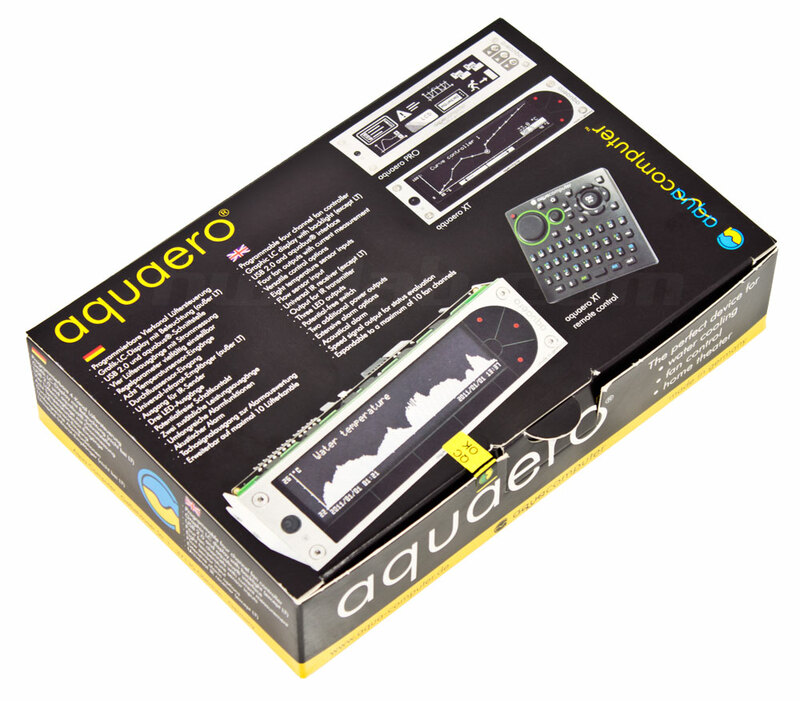 Aquaero 5 XT comes in soft cardboard box, its top shoLCases device’s key features as well the outlook of the controller itself and remote control unit. USB cable is almost 1 meter long which is enough to connect Aquaero 5 even in largest PC cases. 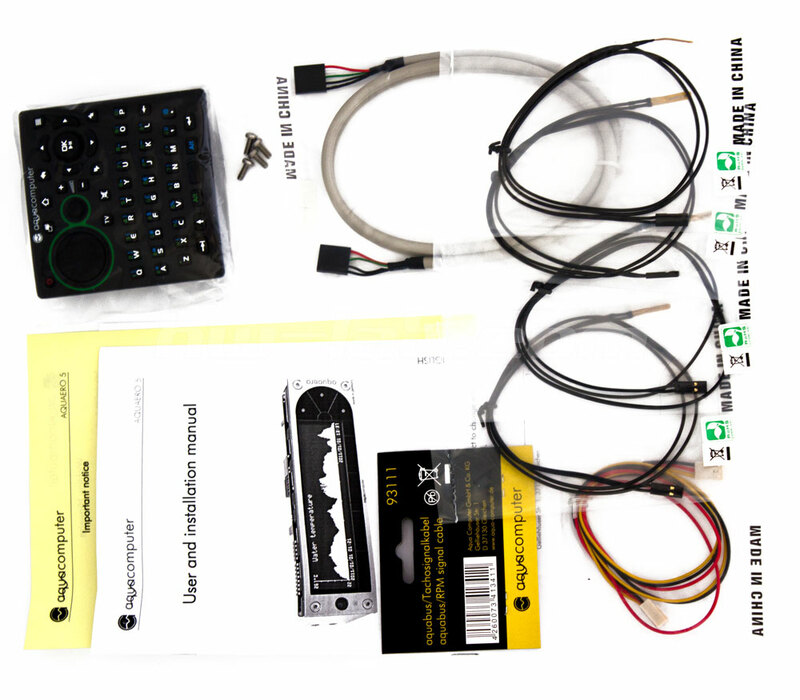 Aquabus/speed signal cable is intended for connecting other devices (such as Aquastream, Multiswitch USB, Poweradjust 2) to controller via Aquabus — Aqua Computer’s proprietary interface. Sensors have 70 cm length with good in most cases, but can be short if, for example, you want to install it on a radiator outside PC. The remote control requires two batteries that are already included with the package. All the electronic components are soldered on three PCBs that are mechanically connected to each other via four screws. 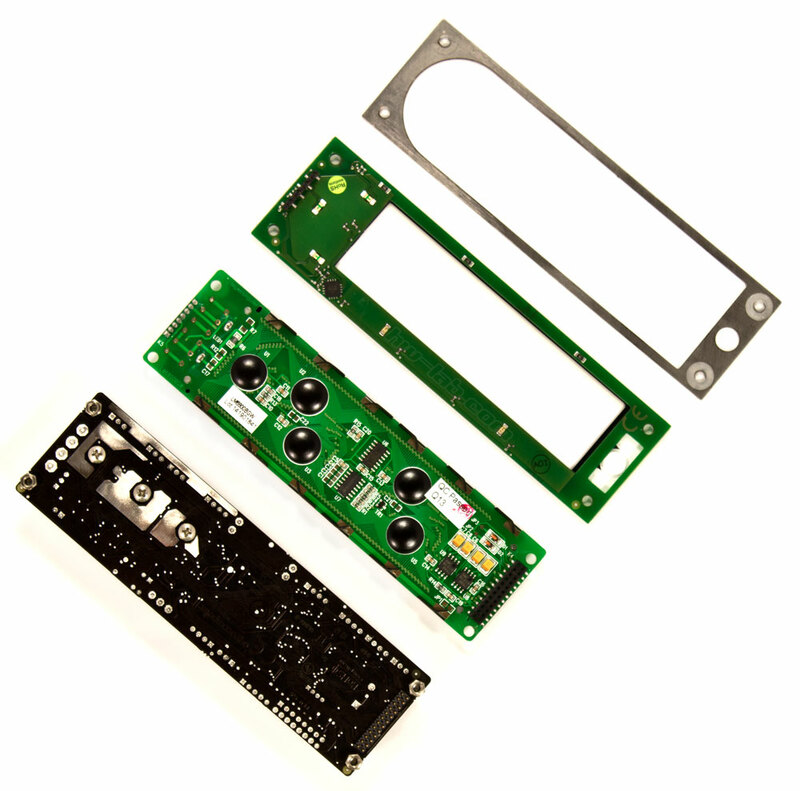 This makes it easy to disassemble Aquaero 5 when needed, for example, when changing the cooling solution for power transistors or cleaning LCD of dust. Three 3-pin Molex KK connectors with RPM signal support. Voltage control range 0-12V with 0.1V step. Maximum load is ~20 Watt per channel, current is limited to 1.65 A. One 4-pin Molex KK connector with RPM signal readout and PWM control support. Maximum load is ~20 Watt per channel, current is limited to 1.65 A. Two 2-pin Riacon connectors with PWM control support. PWM frequency is PWM 16kHz. Maximum load is 1A at 12 V.
Instead of blue/white display with 2×20 resolution, Aquero 5 XT and Pro version can boast of black/white graphics LCD with resolution of 256×64 px and refresh rate of up-to 20 pages per second. PC connection interface upgrade — obsolescent USB 1.1 interface was changed to version 2.0. There was no point of implementing USB 3.0 as the speed provided by USB 2.0 is more than enough for needs to the controller. Moreover use of USB 3.0 could cause compatibility issues as it not as wide spread among system as USB 2.0 is today. Fan control channel abilities were slightly enhanced. Max current load has increased from 0.8 А/Ch (Aquaero 4) to 1.65 A/Ch (Aquaero 5). 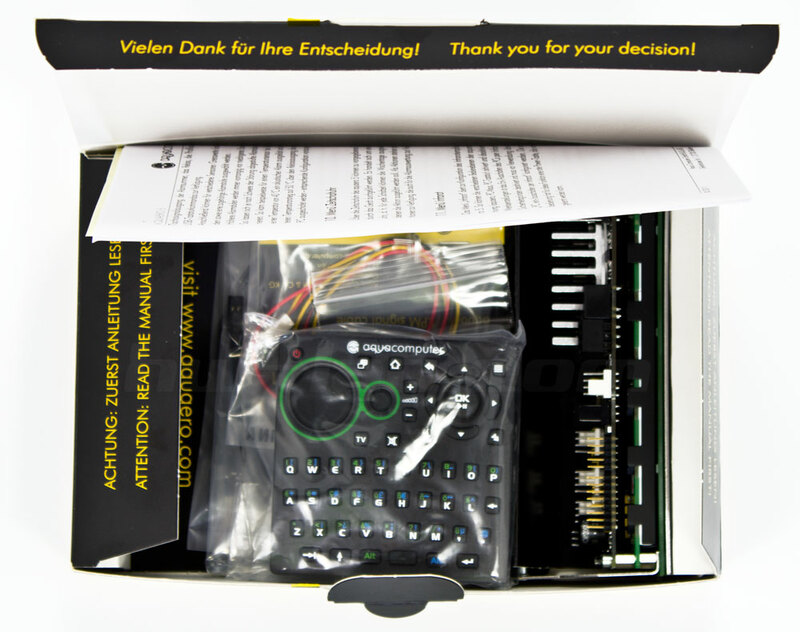 The fourth channel now has support for PWM control. Control precision has been improved too. The total amount of fan control channels can be expanded by 6 additional ones provided via Power Adjust 2 modules. Relay has been improved too — current load limit has been lifted from 0.5А of Aquaero 4 to 1.0A of Aquaero 5. Aqua Computer uses Aquabus for data transfer between controller and branded periphery devices connected to Aquero. In Aquaero 5 this interface has been reworked and got a higher information rate. Internal clock has now become a fully functional calendar. The number of connected temperature sensors of the novelty amounts to 8, plus up-to four software sensors can be used now. Temperature measurement ranges has been expanded: from 0-100°С (Aquaero 4) to -40-120°С (Aquaero 5). Hardware testers will surely love the improvement in temperature sensor reading accuracy — it does no exceed 0.05K. 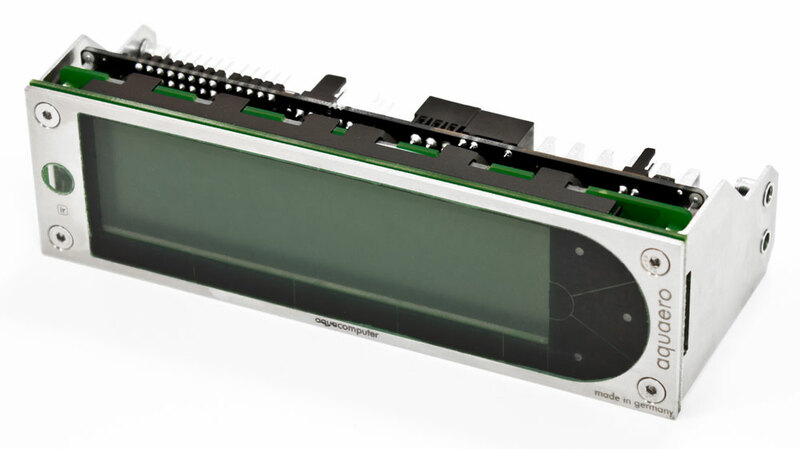 Moreover, there are three integrated temperature sensors for controller element status check. The company also has spoken about possibility to introduce special digital sensors for Aquaero 5. According company representative, these are only to be purchased through Aqua Computer e-store. Control mode are more flexible to set compared to settings Aquaero 4 has. The new controller line-up supports up-to x8 Set Controller modes, or x16 Two point controller modes, or 4 Curve Controller modes. The last one allows custom control mode implementation. Additional, and IR transmitter can be connected to Aquaero 5 thus providing distant control over your system as well as your home appliances, for example, TV-set.